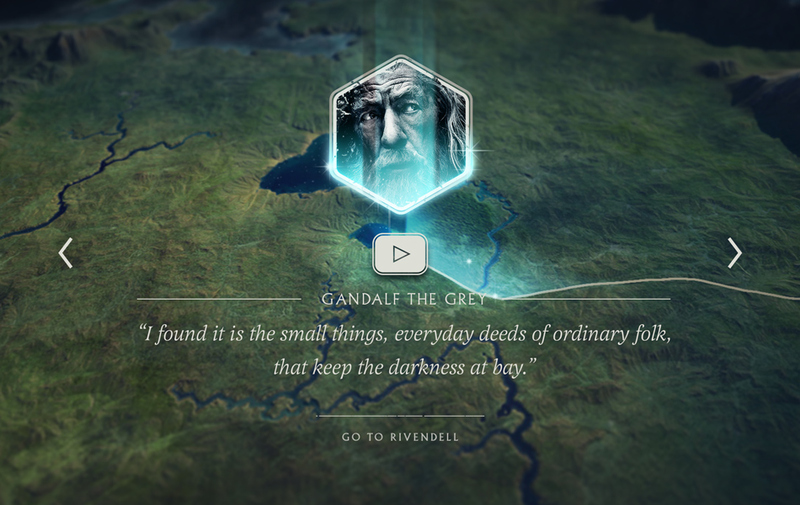 Swedish consultancy North Kingdom has collaborated with Google to create an interactive “journey through Middle Earth” in anticipation of the release of the final Hobbit film in the on-screen trilogy. North Kingdom worked closely with Google and Warner Brothers over eight months to deliver an experience, which it says shows the capabilities of the latest Google technology and communicates with an engaged fan audience. 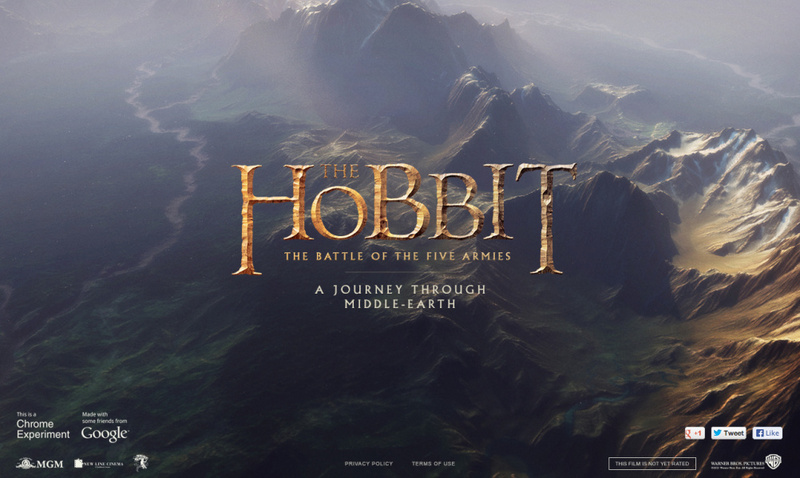 The website, which is designed for Google Chrome has a landing page which leads on to an interactive map of Middle Earth where fans can explore 21 new locations from the Lord of The Rings and Hobbit films. 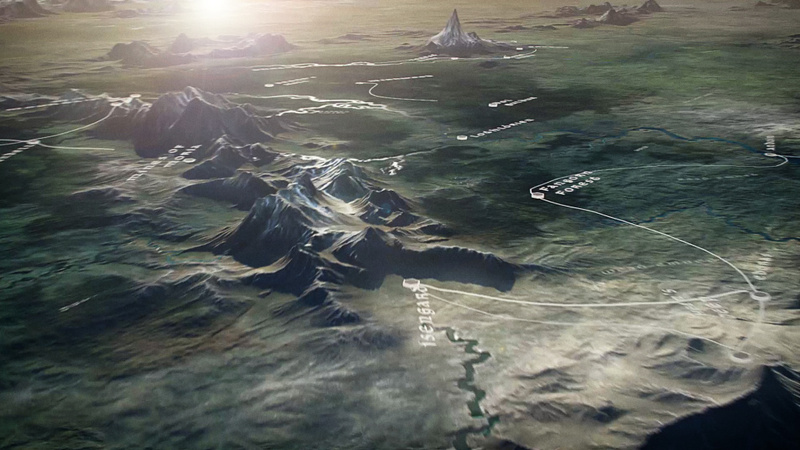 The map uses 3D animation and highlights the paths of eight key characters in the film including Bilbo Baggins, Gandalf and Aragorn. Meanwhile a new Heroes Journey’s section allows fans to “relive” sequences from the film, navigating the map to watch different clips. North Kingdom has also developed a peer-to-peer battle game, which the consultancy says uses “the latest web technologies” and is touch optimised for tablets, laptops and phones. 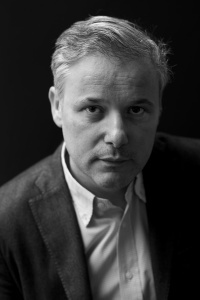 North Kingdom says that by focusing on user behaviour and by harnessing the latest techniques it hopes to “bring new value and strengthen audience relationships between entertainment and technology”. 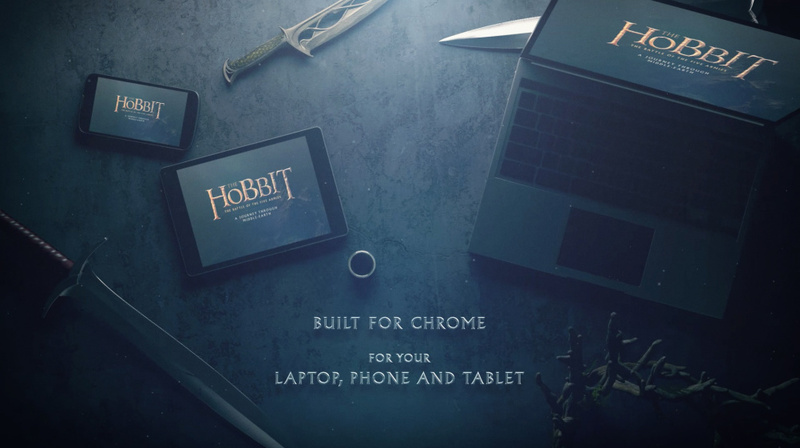 The site has been overhauled and updated since the last Hobbit film was released in 2012 and features new interactive adventures using the latest WebRTC and WebGL capabilities.